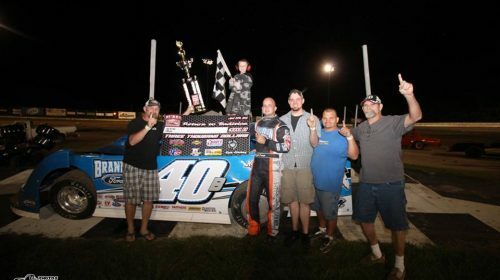 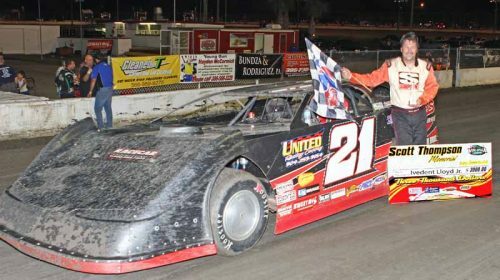 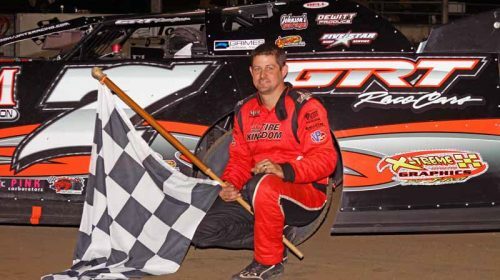 GIBSONTON — At East Bay Raceway on Saturday night it was Kyle Bronson winning the Scott Thompson Memorial 50-lap Feature for the Late Models. 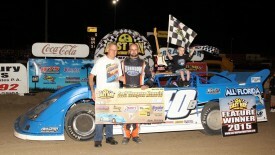 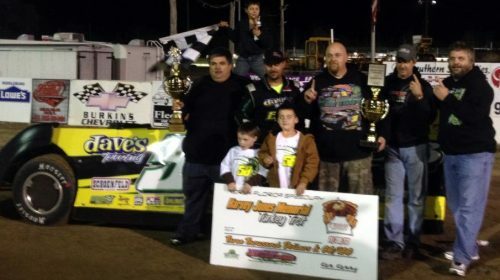 Also winning was Tim Gay in the Q Auto & Injury Attorneys Street Stocks, Jeff Lacey in the Motorstats.com 4 Cylinder Bombers and Devin Dixon in the Gagel’s Open Wheel Modifieds. 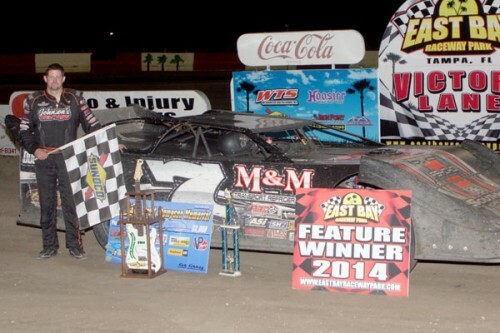 Middleburg, Florida (12/02/13) – Saturday night was a great outing for Big Frog Motorsports as Mark Whitener clinched the 2013 United Dirt Late Model Championship Series (UDLMCS) Championship with a bang by scoring the $3,000 victory in the series’ season finale at North Florida Speedway (Lake City, Florida) in his #58 Big Frog Motorsports/Dave’s Towing/B&B/Barry Wright Produce Late Model!